HERNDON, Va., September 10, 2018 (HawkEye 360 PR) – HawkEye 360 Inc. has raised an additional $5.3 million in funding in a second closing, which when combined with the $9.6 million first closing, completes the company’s Series A-3 round of financing for a total of $14.9 million. Led by Raytheon Company, the Series A-3 round included participation from the Sumitomo Corporation of Americas, Razor’s Edge Ventures, Shield Capital Partners, Space Angels, and Allied Minds. The NASA Innovative Advanced Concepts (NIAC) program recently awarded 25 grants for the development of visionary new technologies. 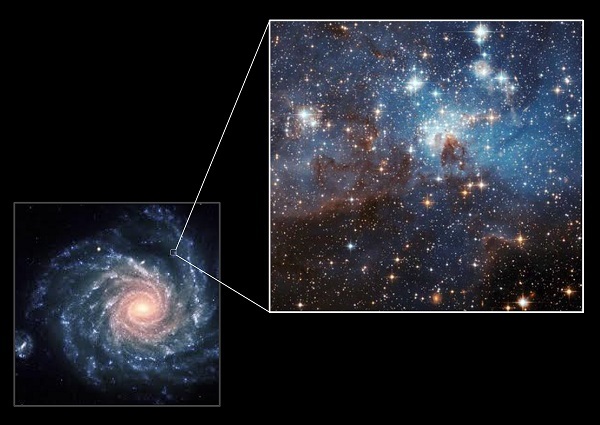 Here we’re going to take a closer look at the following two Phase II awards focused on space astronomy. Each award is worth up to $500,000 for a two-year study. Descriptions of the awards are below. WASHINGTON, DC (NASA PR) — NASA is investing in technology concepts that include meteoroid impact detection, space telescope swarms, and small orbital debris mapping technologies that may one day be used for future space exploration missions. The agency selected 25 early-stage technology proposals that have the potential to transform future human and robotic exploration missions, introduce new exploration capabilities, and significantly improve current approaches to building and operating aerospace systems. 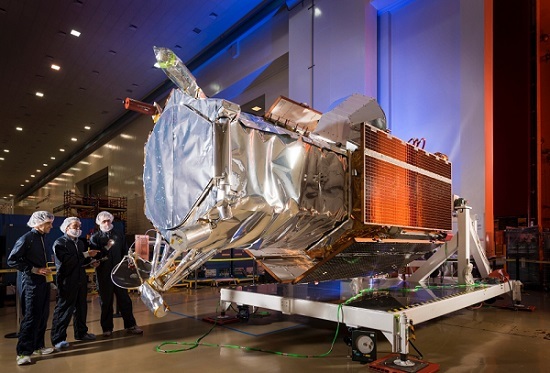 EL SEGUNDO, Calif. (Raytheon PR) — Raytheon Company (NYSE: RTN) was recently selected by DigitalGlobe, Inc. as the next-generation WorldView Legion satellite imaging constellation payload provider. Under the contract, Raytheon will deliver the telescopes, detectors and combined electronics to Space Systems Loral, the WorldView Legion space vehicle integrator. Raytheon’s new payload doubles DigitalGlobe’s capacity to capture multispectral and 30 cm imagery, while tripling to quadrupling the company’s capacity to image high-demand areas. Once the WorldView Legion constellation is on orbit, DigitalGlobe’s combined constellation will be able to image the most rapidly changing areas on Earth every 20 to 30 minutes, from sunup to sundown. WorldView Legion will begin launching in 2020. 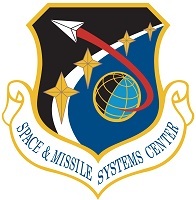 LOS ANGELES AIR FORCE BASE, Calif. — Air Force Space Command’s Space and Missile Systems Center recently awarded four study contracts worth approximately $500,000 each to EO Vista, Millennium Space Systems, Orbital ATK, and Raytheon Company – Space and Airborne Systems. These companies will provide concept reports to address space-based cloud characterization and theater weather imagery solutions by the end of fiscal year 2019. Currently, the Air Force relies on the Defense Meteorological Satellite Program (DMSP) and other programs to provide cloud characterization, whereby satellites analyze cloud detection, cover and temperature, and, theater weather imagery, whereby satellites record visible satellite images of atmospheric conditions. Together, these missions are referred to as Space Based Environmental Monitoring (SBEM) Electro Optical Infrared (EO/IR) capabilities. The SBEM EO/IR mission has been performed by the DMSP satellite constellation for over 50 years and the Air Force is exploring new long-term solutions to continue this mission. Other commercially launched payloads, usually satellites launched for various purposes by governments of countries not having indigenous orbital launch capability. We now know what DARPA had in mind for payloads when it launched its Airborne Launch Assist Space Access (ALASA) program, which is aimed at being able to quickly launch 100 pound satellites into orbit for $1 million apiece. Darpa’s goal is to show that a constellation of 24 satellites, each weighing less than 100 lb., can be launched into low Earth orbit (LEO) at a fraction of the cost of acquiring additional unmanned aircraft to provide the same imagery. The Commercial Spaceflight Federation is pleased to announce that Raytheon Company has joined the Federation as an Associate Member, having received unanimous approval by the Board of Directors. Raytheon Co.’s quarterly profit rose 14 percent on stronger sales of missiles, radars and defense electronics, spurring the nation’s fifth-largest defense contractor to raise its 2009 earnings forecast. Raytheon Company announced fourth quarter 2008 adjusted income from continuing operations of $466 million or $1.13 per diluted share, compared to $420 million or $0.96 per diluted share in the fourth quarter 2007(1). Buoyed by increased defense sales, Raytheon reported first-quarter profits of $400 million, or 93 cents per share. The world’s fifth largest defense contractor’s 15-percent growth exceeded Wall Street expectations, and company officials re-iterated earlier guidance double-digit profit growth this year. Northrop Grumman reported that first-quarter earnings fell 32 percent after “the company was forced to take a charge due to rising costs and delays with an amphibious assault ship program it is building for the U.S. Navy,” the Associated Press reported. Northrop Grumman does extensive aerospace work. Last year, it purchase Scaled Composites, the Mojave, Calif.-based company that is building the SpaceShipTwo suborbital tourism vehicle. The Arizona Daily Wildcat has published an editorial praising the university’s participation in the Google Lunar X Prize. The paper believes the combination of UA’s imaging experience, Raytheon’s missile technology, and Carnegie Mellon robotics expertise makes this a very strong entry in the competition to land a rover on the lunar surface. “Private exploration is lighter, leaner and smarter than lumbering government projects, and we’re glad the UA is playing an important role in the future of space exploration. Google may be paying for the prize, and the UA may be a formidable competitor, but it’s humans everywhere who will reap its rewards,” the editors write. UA News has a story about the University of Arizona’s partnership with Carnegie Mellon University and Raytheon Missile Systems to form Team Astrobotic – one of 10 competitors in the Google Lunar X Prize competition. The UA Lunar and Planetary Laboratory and its Department of Aerospace and Mechanical Engineering are the major elements of the university’s participation. “This is the dream team,” Lunar and Planetary Laboratory Director Michael J. Drake said. LPL will provide its expertise in designing, building and operating imaging camera systems. It will add a clean room and a high bay to its Phoenix Science Operations Center, where the lunar lander will be assembled. The Arizona Daily Star also has a story.